What it is about a beautiful sunset that stops us in our tracks? Why do we all grab our cameras when the sky lights up with bright pinks, deep oranges, fiery reds, and electric yellow? A good sunset is a mystery. We never know when it’ll happen, or if we’ll ever see it again. And when we do, we take photos and share them with the world. At the time of this blog, there were over 46 million photos hashtagged sunset on Instagram. We can’t enough. Won’t get enough. 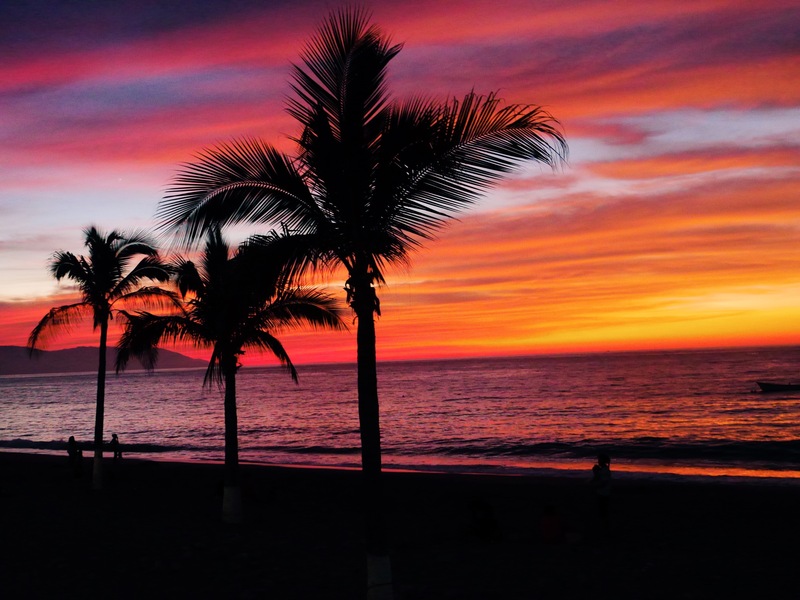 I’ve been in beautiful Puerto Vallarta, Mexico, over the past 2 weeks, enjoying a wonderful holiday with my family. One night, as we strolling the city boardwalk, the sunset stopped us in our tracks. We watched in awe as the night sky exploded with color and texture. And we weren’t the only ones. All around us, locals and tourists gathered to witness the beauty. I got some incredible photos. I remember another night from our travels last year in Asia. 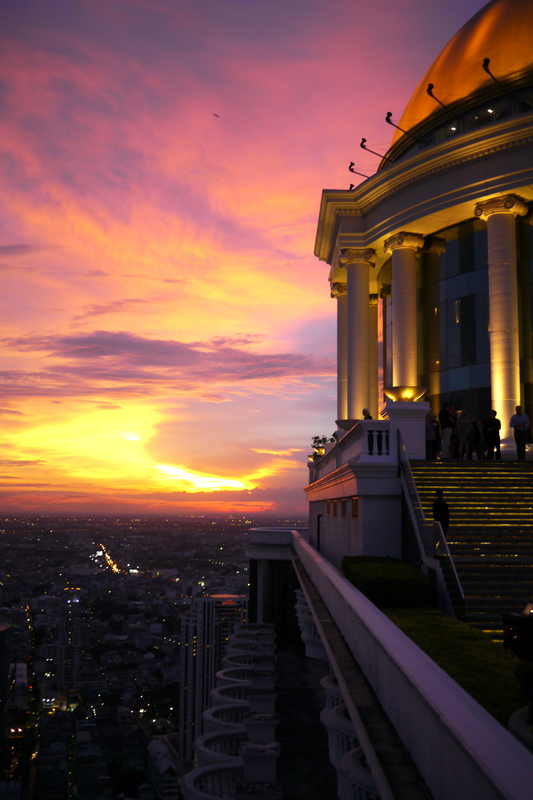 We were atop a hotel in Bangkok, Thailand for a romantic evening with drinks and hopefully a nice sunset. That night exceeded our expectations. Even the hotel staff took out their phones to snap some pics between drink deliveries. It was breathtaking. Why does regular act of nature leave us breathless? I think it’s because our souls crave beauty. And the mysterious beauty of a sunset, unmade by human hands, it’s beyond our comprehension. Why this night? Why this part of the world? Why is it this beautiful? It’s a mystery that we are blessed enough to witness. It’s unleashed creativity by a Creator. I’m reading a book while here on vacation in Mexico that is reminding me to practice regular & frequent gratitude. It’s reminds me that thankfulness is the opposite of stress, worry or fear. I have so many moments to be grateful for while here in Mexico, and last night’s sunset was an exclamation point on my list of gratitudes. I’m just thankful. 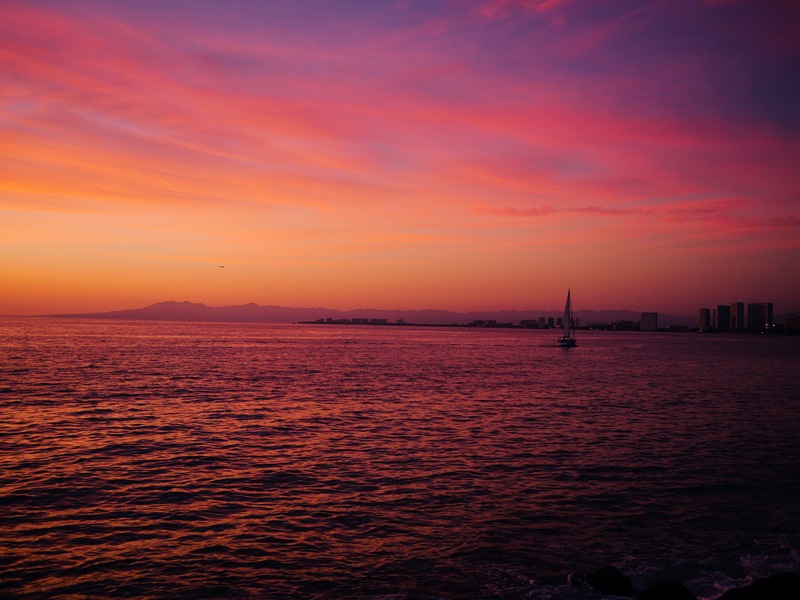 Fabulous photos of a glorious, multi-hued sunset.